According to La Velle E. Neal's Twins Insider Blog, Joe Mauer is very questionable for opening day. After multiple consultations there is consensus that the problem is indeed inflammation of the sacroiliac joint - the joint that connects the bottom of the spine to the top of the pelvis. However, no one seems to have any idea how the problem arose in the first place. 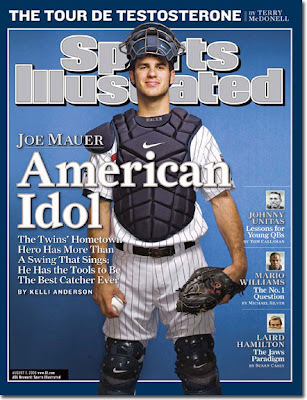 Fantasy owners should avoid drafting Mauer unless they are receiving a deep discount on his usual price. Owners in non-keeper leagues would be wise to avoid him altogether at this point. I would not project more than 350 at-bats just to be on the safe side. If this means Mauer is undraftable then so be it.